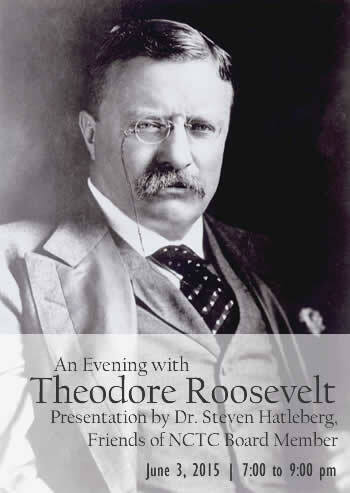 Join us Wednesday, June 3, 2015 at 7:00 p.m. for An Evening with Theodore Roosevelt, presented by Dr. Steven Hatleberg, a Friends of NCTC board member. Dr. Hatleberg will share stories and information he has learned about the bold and enthusiastic Theodore Roosevelt. Reservations required 48 hours in advance.